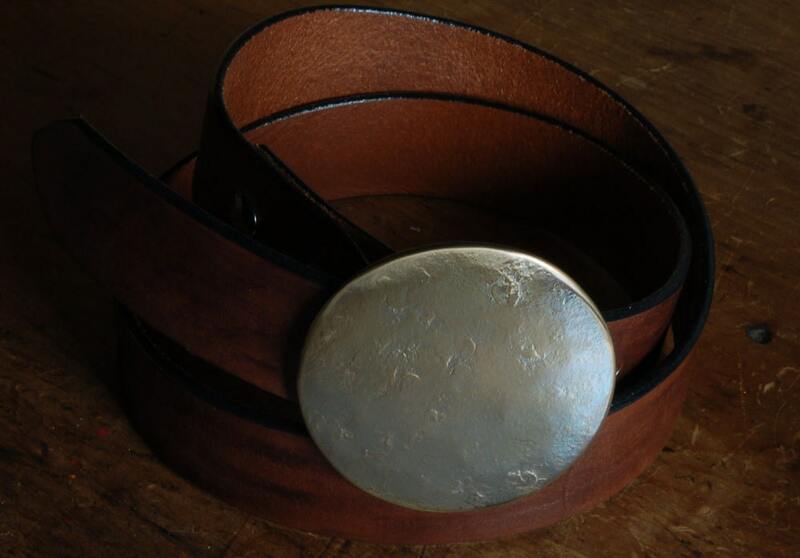 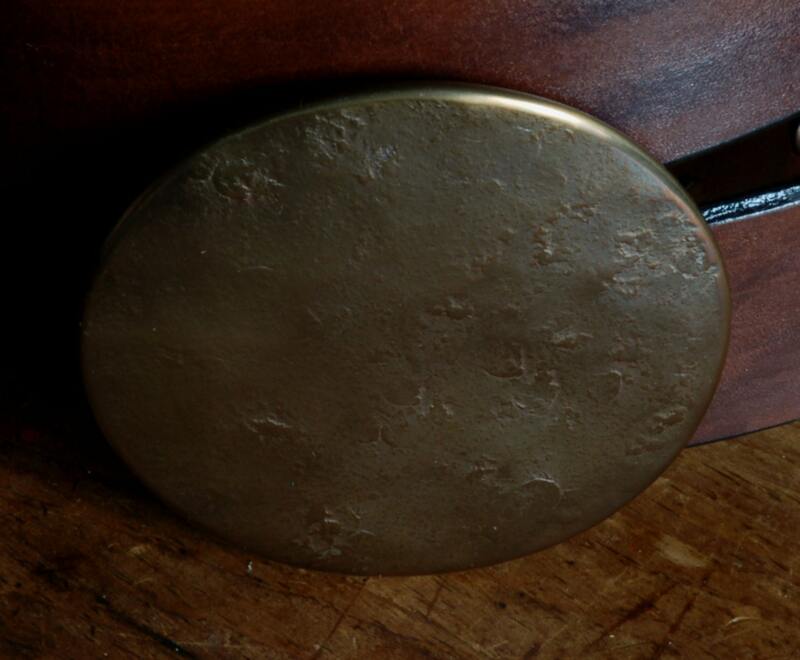 Texture on the surface of this buckle was accomplished on the blacksmith's anvil. 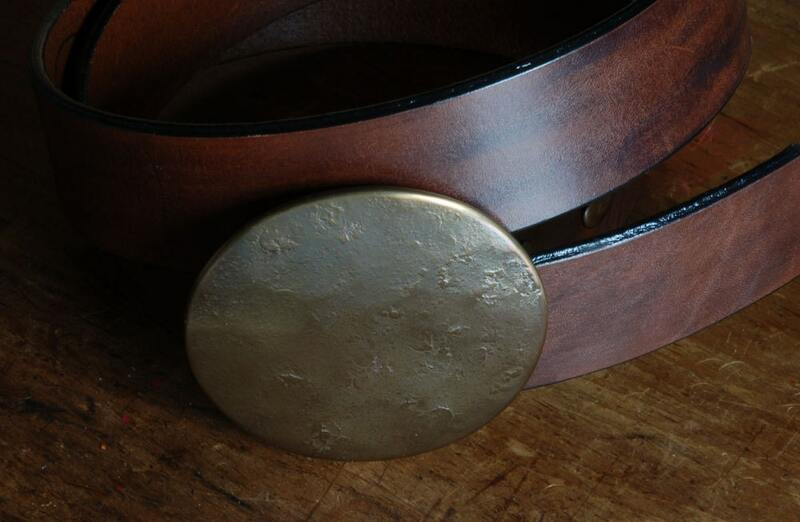 When ordering, all we will require is your waist measurement. width of belt & colour choice.